3 Bed / 2 Bath / 1209 sq.ft. This centrally located house has been tastefully updated and is ready to be called home. This residence features three bedrooms and two baths. Throughout the home there is brand new textured wood style vinyl and plush carpet. The kitchen features a brand new stainless steel range and hood. The master has its own in suite bathroom with dual vanities. Located on a corner lot walking distance to Oats Park, Churchill County Middle School and the Municipal Swimming Pool. 3Bed / 2 bath / 1516 sq.ft. Beautifully renovated home in a culdesac on one fully fenced acre! This sprawling single story ranch home is perfect for the homeowner who wants to be close to town but enjoy all of the modern amenities a newer build home offers. Upon entering you'll be blown away by the vaulted ceilings in the great room that promote an open and airy feel. The windows let tons of natural light! The kitchen has brand new granite countertops with a breakfast bar! 3 Bed / 2 Bath / 1610 sq.ft. Completely renovated Dayton home available now! Like new living in this beautiful home with too many upgrades to list! New roof on home and well house, new skirting, new paint inside and out, new wood style vinyl and plush carpet throughout. The country kitchen features white shaker cabinetry, granite slab counter tops and brand new stainless steel appliances. The bathrooms have been completely updated with brand new vanities, toilets, tubs, shower surrounds and hardware. 1 Bed / 1 Bath / 480 sq.ft. Investor Alert! Student and Parent Alert! Remodeled 1 Bed, 1 Bath Now Available Walking Distance to UNR! The unit is also close to I-80, US 395 and conveniently centrally located to the Reno Metro Area. The home features brand new appliances, flooring, lighting, and paint and has laundry hookups in unit! These units don't come available often. Come take a look today! 3 Bed / 2 Bath / 1440 sq.ft. Beautiful single level home with RV parking on a fenced lot in Dayton. This property has been completely renovated with brand new paint inside and out, new flooring throughout the home. The country kitchen features granite slab counter tops, brand new stainless steel appliances and oil rubbed finishes. 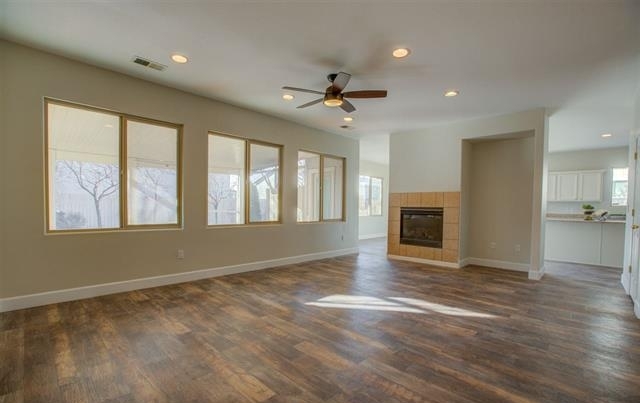 The family room has vaulted ceilings and skylights fostering plenty of natural light into the living space. Brand new water heater installed. This home is sure to please! 3 Bed / 2 Bath / 896 sq.ft. This sweet lake front fixer upper cabin is the perfect home away from home. An unbeatable price, you won't find a better deal. This home has three bedrooms and two bathrooms. The master suite has full lake views. Home needs TLC and is priced accordingly. Ask listing agent about private financing options. 4 Bed / 3 Bath / 2484 sq.ft. Do it yourselfer's dream home in the Old Southwest! The big items have been taken care of for you; this property features a brand new 30 year 3 tab roof and a brand new furnace. Put all of those hours logged on Pinterest and Houzz to use, this vintage beauty has TONS of square footage and is waiting to be revitalized! This massive home is located near the corner of Plumb and Arlington, and is walking distance to the Stonehouse Cafe and other retail/restaurants. 4 Bed / 3 Bath / 2117 sq.ft. Off the grid! Get away from it all while only being minutes from town! Incredible views all around on this 39.5 acre lot. This home is MASSIVE, over 2100 square feet and has a metal roof to protect against the elements. HUGE SHOP on site for the RV storage or the handyman in the family! 3 of the bedrooms feature en suite bathrooms! The master features dual sinks, a separate shower and garden tub and incredible views for miles. Spacious living with elbow room! 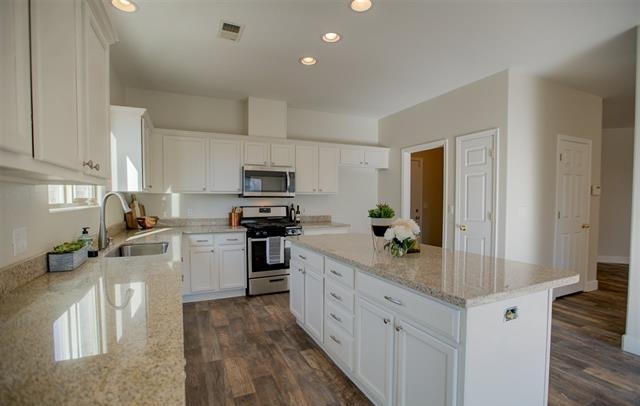 This beautiful newer construction manor in Dayton boasts vaulted ceilings, a sprawling kitchen, and a large two-car garage. 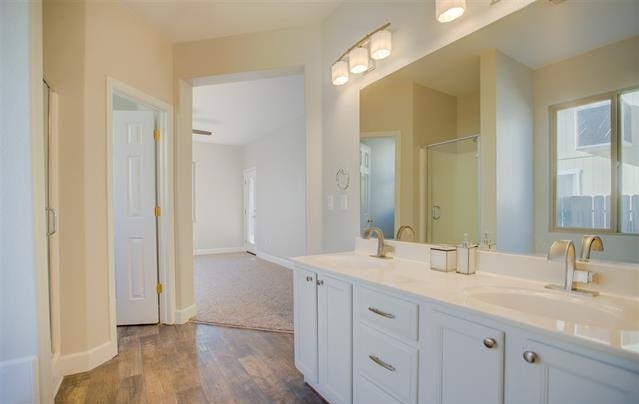 Relax in the master bath with separate his and her vanities, garden tub and standing shower. Already set-up for entertaining the home has both a front and back porch with plenty of space for you and your guests! Come see it before it’s gone! 3 Bed / 2 Bath / 1365 sq.ft. Wonderful country home in Silver Springs on a corner lot! Brand new 30 year roof on the home! Upon entering you will be blown away by the open concept design and the kitchen with brand granite counter tops and stainless steel appliances! Brand new water heater! The master bedroom has tons of closet space and an en suite bathroom. The home is set back from the road and offers plenty of privacy and the serenity you seek! Country living at it's finest! Don't wait, this home will not last long on the market! 3 Bed / 2 Bath / 1640 sq.ft. Beautiful single level home in Dayton. Upon entering you’ll be impressed by the high ceilings and huge windows letting in tons of natural light. The great room has a gas fireplace. This property has been completely renovated with brand new two tone paint inside and new flooring throughout the home. The country kitchen features granite slab countertops and brand new stainless steel appliances. The master bedroom features an en suite bathroom with dual master sinks and a walk in closet. Privacy & serenity comes with this beautiful home sitting on over 11 acres! An inviting floor plan welcomes guest through the front door where they are greeted with high ceilings & panoramic views. This home was beautifully renovated that features a gorgeous kitchen with solid surface counter tops, brand new SS appliances and designer fixtures. The master features a huge walk in closet and a beautiful master en suite. A beautifully renovated home featuring a gorgeous kitchen with butcher block counter tops, and brand new SS built in appliances. The master features a walk in closet and a beautiful bathroom with walk in shower. Brand new wood style vinyl and plush carpet throughout, fresh designer selected two-tone paint inside and out!